Expert tips and advice on best practices in gas detection, process gas analysis, environmental gas measurement and laboratory gas analysis. Financial risk at stake with your LNG quality measurement system. Measurements of gas and liquid natural gas (LNG) quality, along with flow measurements, ultimately determine the commercial value of the gas and LNG, which is vital for the long-term successful operation of a custody transfer / fiscal measurement system. The linearity of these instruments can lead to errors which contribute to the measurement uncertainty. 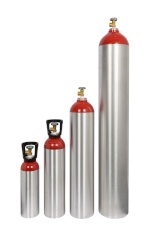 We are often asked for many different gases for the same applications. 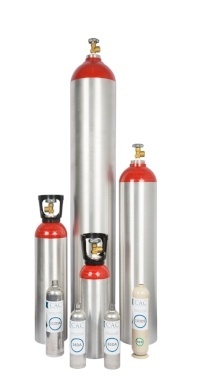 When possible, the required gases can be combined into the same cylinder to reduce the overall gas cost. When creating custom gas mixtures you must be aware of potential issues from mixing different compounds together. Liquefied gas mixtures, or ‘liquid mixtures,’ are often used for calibrations where the application demands calibration with a ‘heavy’ or longer-chain hydrocarbon (see demystifying-hydrocarbon-gas-mixtures-in-non-refillable-cylinders). Liquid mixtures have the advantage of closely matching the product being analysed (e.g. stream gas), while also offering increased efficiency by allowing an increased number of calibrations with the same cylinder, when compared to a gaseous mixture. While liquid mixtures do have significant advantages, there are some disadvantages to consider. Continuing improvements in workplace safety and the ongoing protection of workers within Industry is creating a new wave in the water/wastewater sector. Many organizations are moving towards measuring six (6) gases in sewage treatment and sewer lines throughout Australia. In this article we will go over the different terms as they relate to the overall accuracy of a gas mixture. The compositions of gas mixtures are expressed in a number of different ways. These can change depending upon the mixture’s method of manufacture, the type of components within the mixture, the amount of each component, the process/analytical requirements, or simply the customer’s preference. 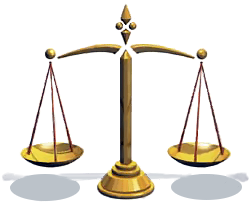 In each case the units of measure and the ratio of these units relative to each other are listed on the certificate provided by the manufacturer. The process of gas calibration involves the testing and comparison of your gas detection instruments against some fixed reference value. The process includes using an accurate gas mixture as a reference and comparing it with the values provided by the instrument being tested. The cylinder mixture or device that produces the assigned correct value is known as the standard and it plays a vital role in all gas calibration. These gas sensors are affected by poisons and inhibitors. Catalytic combustible gas sensors are susceptible to a number of different compounds which can result in irreversible poisoning or reduce the sensitivity of the sensor to measure and respond to different gases. The nature of the poison could be physical- soot or other bi-products of combustion which block the pores in the bead or chemical with molecules forming strong bonds with the catalyst and reducing activity.